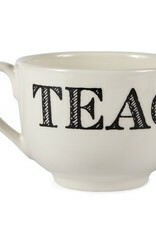 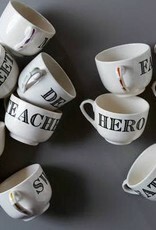 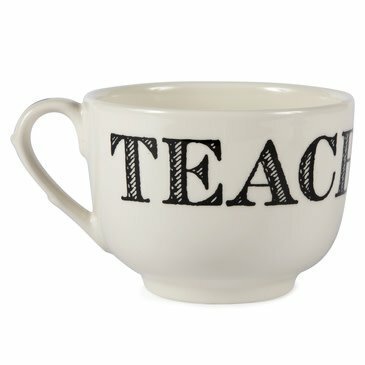 Keep your teacher close at heart with a favorite cup in tow. 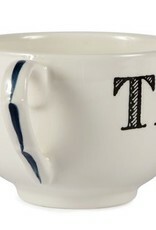 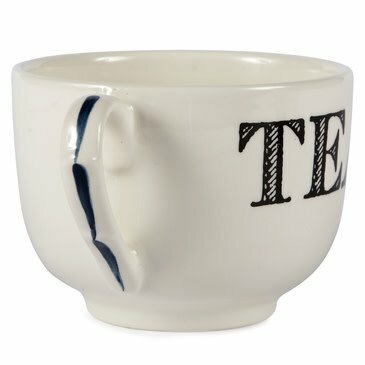 Each grand cup in this collection features a different term of endearment set in archival type, with three brushstrokes of hand-applied color on the handle. 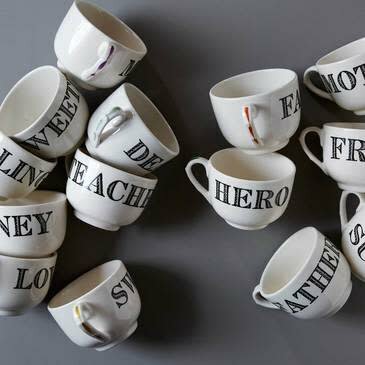 These earthenware café-style cups are perfect for sipping, but are also large enough to serve a lovingly made soup, some cereal, or a dessert.